It’s nearly the end of March 2014 and the clocks spring forward an hour this weekend. It’s time for longer and brighter days as the season progresses. However, depending on where you are in the world, it may not be Springtime even though it is March. Just now it’s Springtime in UK and Autumn in Australia. “Spring” refers to the season as well as to ideas of rebirth, rejuvenation, renewal and re-growth. However “spring” is also a verb. It’s a DOING word – an ACTION word! It means to rise, leap, move or act suddenly and swiftly as if something has been constrained and has now been released. If you want to see wonderful things happening in your life you need to take action and the best way to do that is to “spring” into action. Get up and do something about it! Don’t put off til tomorrow what you can do today because before you know it others around you will have sprung & you’ll still be where you are now. So, why have you not just shot up out of your chair and started DOING things? Often we hold ourselves back through fear or laziness (because we gave up facing fear!). • What constraints do you have on your life and who is putting them there? • How do these problems or constraints impact your overall quality of life? • Which of your dreams are falling by the wayside? • What would happen if you took no action? • What would be the cost to you or those around you? Addressing these issues should help you take those first little steps to prepare yourself to leap forward with faith! Faith in yourself that you can rise up to meet the challenges; faith you can act swiftly with a belief in what you are doing and where you are going. Take action – don’t let fear or excuses hold you back. When you start looking after YOU and start taking action to make your dreams come true, you’ll soon notice that Spring really is a time of rebirth, rejuvenation, renewal, re-growth and rejoicing! 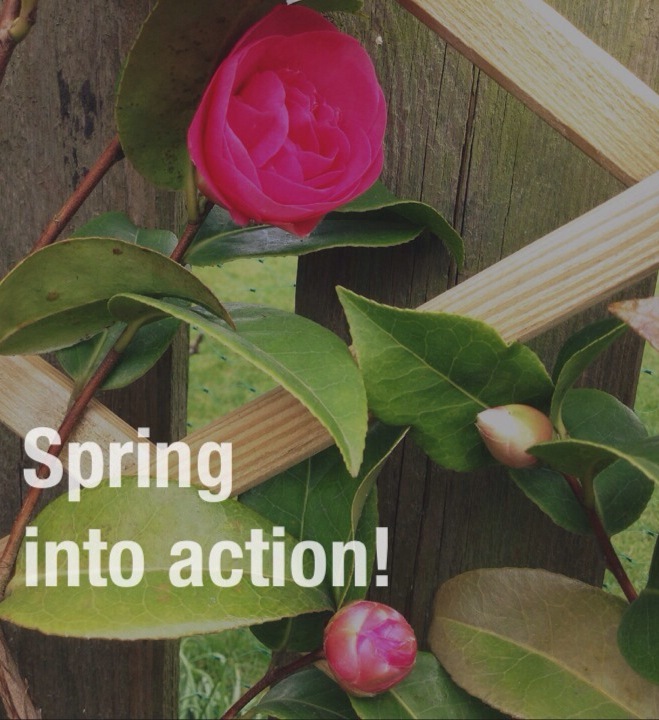 So break away from those constraints and spring into action today!